Everybody in the kitchen! 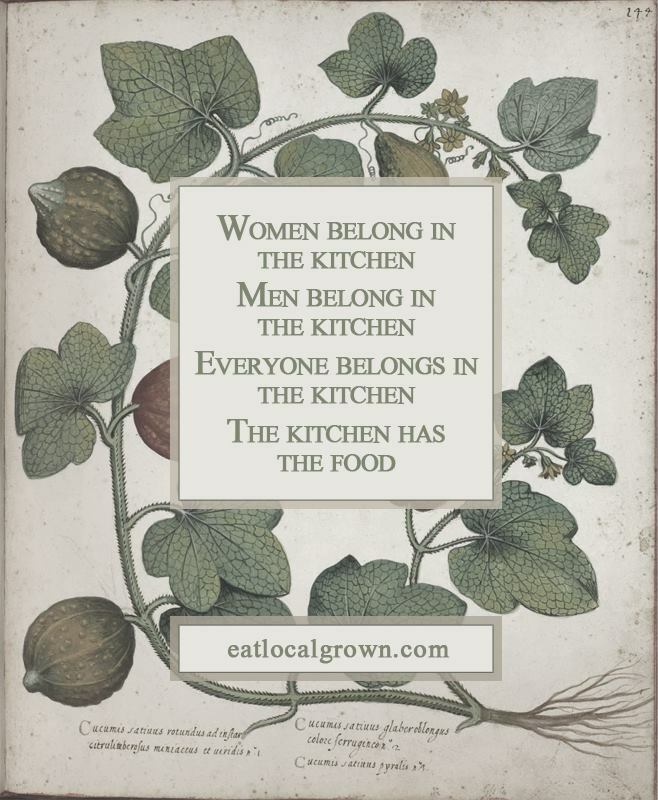 | ReLocavore: Redefining "local"
You know, I may frame this and hang it up in my kitchen. Categories: Uncategorized | Tags: eat local, eating, feminism, feminist, food, kitchen, localvore, locavore | Permalink. OMG, that’s freaking brilliant! I think I want that tattooed on me somewhere!